Visual Studio 2017 is the latest version of Visual Studio IDE, and comes in three different editions. The different editions of Visual Studio 2017 are: Visual Studio Community 2017, Visual Studio Professional 2017 and Visual Studio Enterprise 2017. If you are indie developer and/or building open-source projects, you can download Microsoft Visual Studio Community 2017 for free. It gives you total power of the Professional Edition. Click here to download latest version of Visual Studio 2017. VS2017 compiler creates broken debug build using Qt framework and generates 'Invalid address specified to RtlValidateHeap' error. Incorrect code generation for matrix multiplication. VS 2017 Update 7: Git History Codelens only showing entries for the past 6 months. UWP projects reference multiple NetStandard 2.0 dlls after 15.7.1 upgrade. Building C++ code in VS 15.7 with /std:c++17 breaks binary compatibility for std::_Ptr_move_cat. Visual Studio 15.7 stuck when opening XAML files. CMake configuration fails and generates message "C++ IntelliSense information may be out of date, generate the CMake cache to refresh". Unable to start second process for debugging. After update to Visual Studio 15.7.1, some test programs fail in start-up due to reading access violation. Missing compiler required member 'Microsoft.CSharp.RuntimeBinder.Binder.Convert'. Build fails after 15.7.0 update on older project using .NET 3.5 . Coloring, typing, tooltips and IntelliSense slow in F# in VS2017 editor. F# editing experience takes up to a minute for tooltips and dropdowns to display. Certain class member variable value are incorrectly read as zero. Attempt to open XAML file for the first time causes VS to sit with the "Opening the file ..." message for about 10 minutes before XAML file opens. Visual Studio slows down and freezes, creating work loss. Internal error with lambda C++17 after 15.7.1 update. UWP App is slow to return a stopped state in IDE. MSVC auto-vectorization produces incorrect code or incorrect results. Visual Studio closed debug a new instance project1, when a new debug new instance project2 has started. Latest update breaks "start without debugging" on multiple projects. UWP XAML is very very slow on open. XAML viewer freezes on 15.7.2 and 15.8.0 preview 1.1. Xamarin UI Test App project template missing. Visual Studio crashes when creating new Mobile APP Xamarin. Can't create new projects Xamarin Forms. Blank project crash after update. 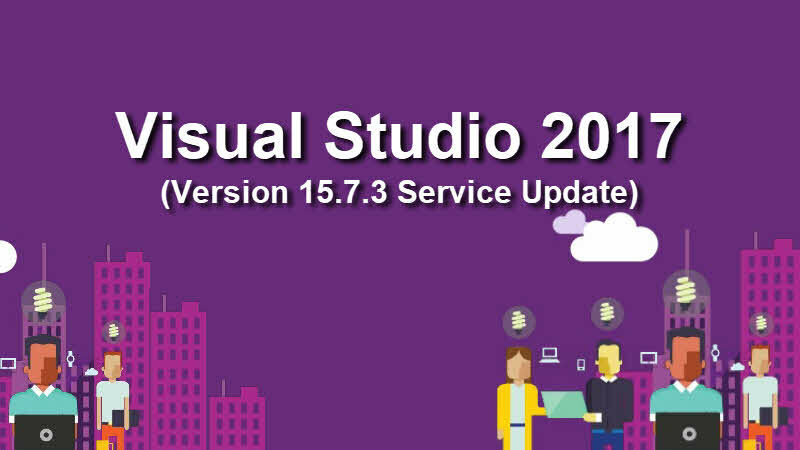 If you have come this far, it means that you liked what you are reading (Visual Studio 2017 version 15.7 Update 3 (15.7.3) is now available).